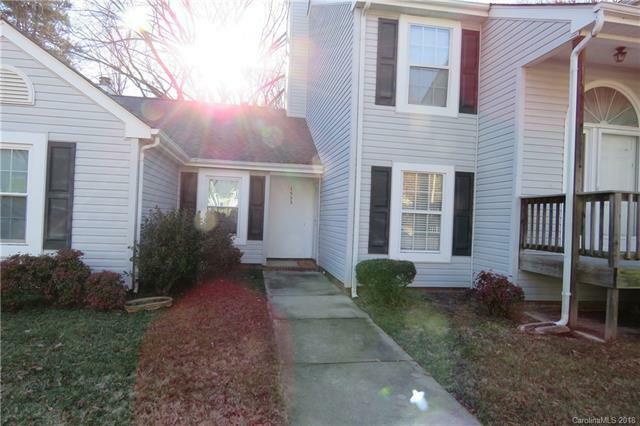 Wonderfully affordable, single story, move in ready, ground floor condo! Enjoy this newly carpeted, freshly painted from "top to bottom", 2 BR 2 BA home. Beautiful kitchen with tile backsplash, stainless appliances & spacious layout. Split Br plan with Master BR opening to private screened porch overlooking trees! Yes!! Easy access into the home (one small step) with 2 parking spaces. Washer/dryer and refrigerator to remain. Quick closing possible.This location offers very easy access to I-77N and S! Less than a mile to the interchange, yet tucked back in a woodsy, private setting that you're sure to appreciate, whether you work from home or that you get to retreat to, after a long day on the move.